The holidays are finally here — Hello Songkran 2019! While Songkran season is always a good cause for celebration — being both the auspicious Thai New Year, as well as the longest national holiday — this Songkran break is, if possible, even more exciting than usual as it falls over the weekend, meaning we get a full five days off. And what better way to spend nearly a week away from the office desk than to plan a quick getaway? Whether you’re set to jet off to the City of Love, got your sights set on jet-setting in Asia, or even just want to fly out of the city, we’ve gathered four of the best reasons why you should get out of town this Songkran. 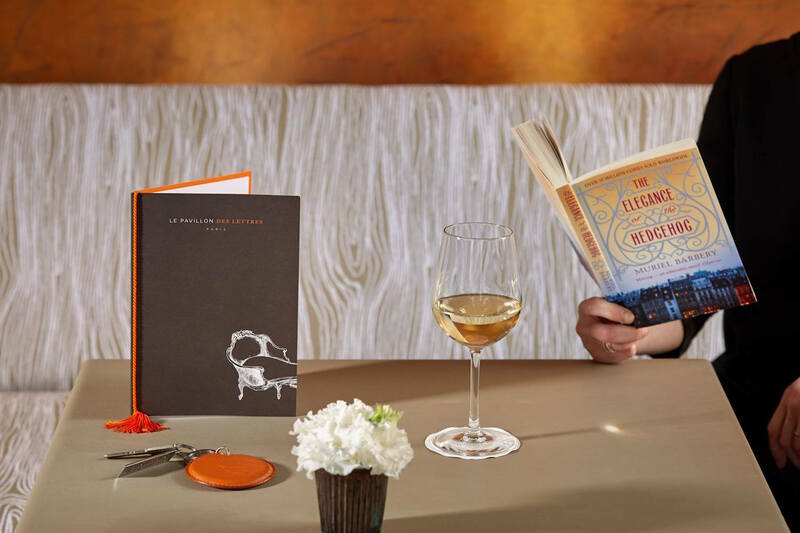 There’s a new literature-inspired wine list at Pavillon des Lettres’ in Paris, France. Themed around literature — hence ‘lettres’ — Paris’s Pavillon des Lettres has 26 rooms, named after authors whose names begin with each alphabetical letter. Passages from the authors’ work are etched onto the headboards of the beds, while the extensive in-house library contains both contemporary and classic works of literature. To make things even more exciting for the literary enthusiast, the boutique hotel has launched a new wine list, complete with famous literary pairings. Guests are invited to read between the wines with The Literary Wine List — a menu unlike any other, where exquisite fine wines are expertly paired with their literary equivalent by Marta Bausells — Literary Editor of Elle UK — and renowned wine veteran Gabrielle Vizzavona. Crisp whites, rich reds and even bubbles are coupled with intriguing page-turners ranging from Sweetbitter to Life of Pi, reflecting the subtle layers of flavour contained in each. pavillondeslettres.com. The Sukhothai Shanghai has new luxury suites. There are two kinds of vacations — the Dora the Explorer kind, and the stay in and enjoy the perks of you room kind. If you prefer travelling the latter way, few things beat pampering yourself with luxury hotel treatment. 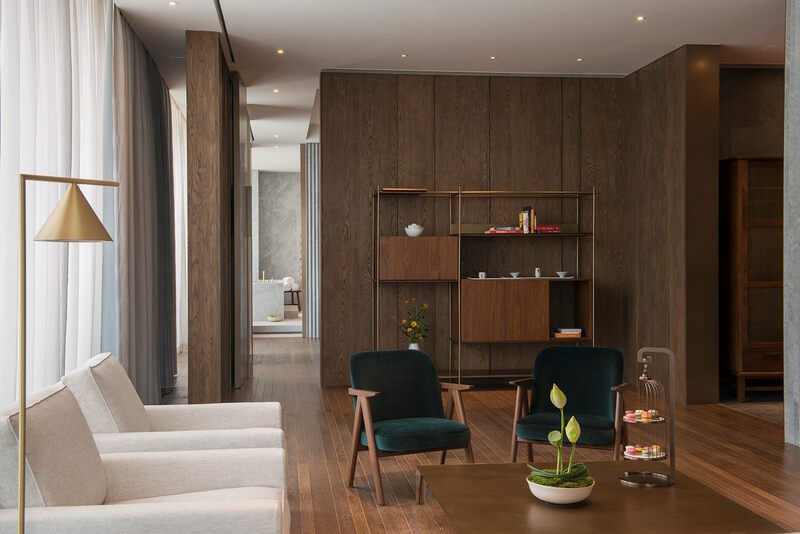 Get your much-needed dose of R&R at The Sukhothai Shanghai’s new Premier Suite, as well as two signature suites — The Loft, and The Attic. 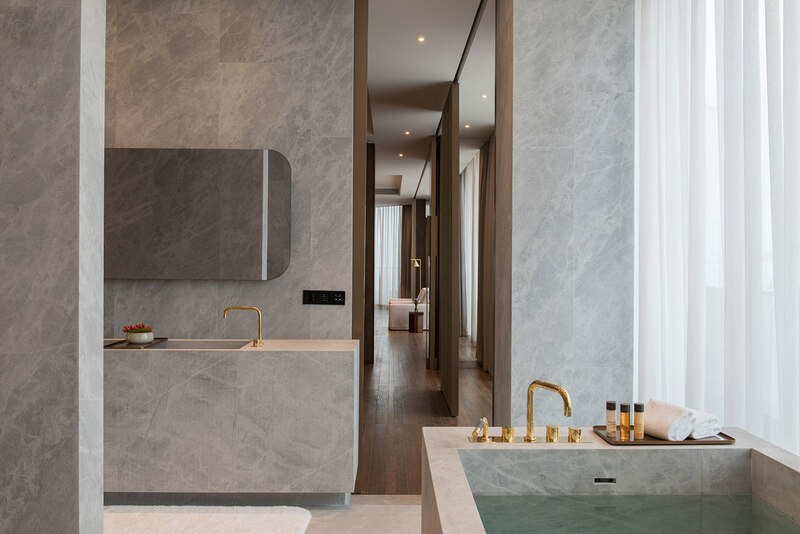 Especially designed by world-renowned Neri&Hu, the residential-style suites are created for complete relaxation — in short, a tranquil oasis, with the convenience of being right at the heart of the big city. Linens come complete with 800-thread-count, while silversmith Christofle accessories grace your desk. In the ensuite open bathroom you’ll find everything you need to pamper yourself beauty-wise, including a Dyson supersonic hairdryer and Themae bath products, made out of rare teas. Not only is it aesthetically pleasing, but the suites also have all your needs covered with in-room services, including an intuitive interface that comes with the in-room control tech, an in-room refreshment and wine-bar and, yes, a 24 hour butler service. Vacation, we are ready for you. sukhothai.com/shanghai. 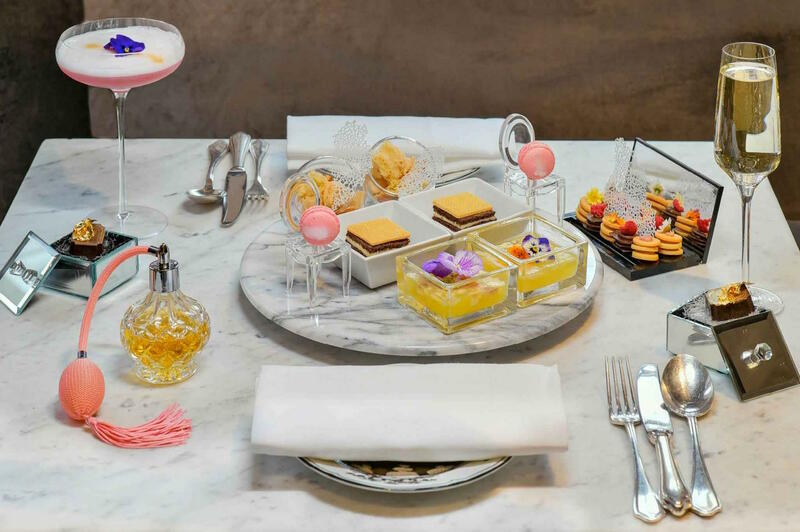 You can now enjoy Christian Dior-inspired afternoon tea at The Franklin, in London, UK. Christian Dior once said, “make me a fragrance that smells like love”. Over at The Victoria & Albert Museum, the French couturier’s life is currently being expressed through a carefully curated exhibition — ‘Christian Dior: Designer of Dreams”. The experience takes you through the history and impact of Christian Dior, as well as the long-lasting reputation of the fashion house, and Dior’s overall relationship with Great Britain. Taking place till September 1, 2019, this in itself is enough reason to book flights to London city, but here’s what’s even better —The Franklin boutique hotel has launched a fashion-inspired menu, to go in-line with the exhibition. Expect a vibrant selection of decadent treats ranging from savoury to sweet, all meticulously curated by chef Alfredo Russo. starhotelscollezione.com. There’s a new Wagyu Steakhouse at Twinpalms Phuket. So maybe you want to getaway, but you don’t want to go too far that you miss out on the water festival fun. Worry not — plenty to see here in Thailand! 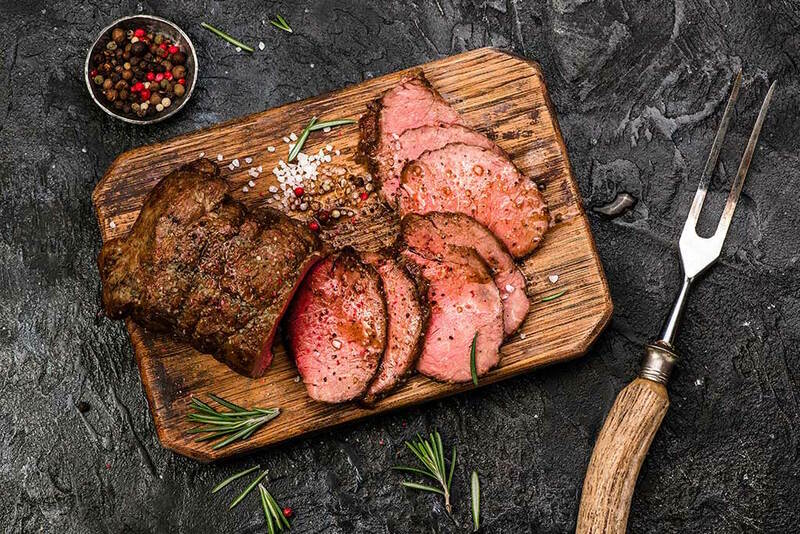 Over at Phuket, the TwinPalms Phuket has opened doors to its new Wagyu Steakhouse, where the hotel’s culinary team combines their passion for fine wines, steak and cheese through an exceptional new steakhouse experience. What to expect? High-quality meats don’t encompass the intensely meaty steaks alone — although the selection of premium Wagyu beef from Australia truly is a must-try — but also includes the likes of high-quality melt-in-your-mouth sashimi. We still hands-down recommend the dry aged steaks though — grilled to perfection on a Beech oven grill, these are really unmissable. twinpalmshotelsresorts.com.